Get your business services or announcement in the top news sources of your industry! 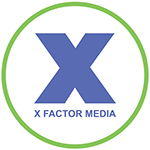 X Factor Digital Marketing specializes in press release distribution services for our clients in NJ and NYC. Press releases are a powerful promotional tool that can be valuable for just about any type of business, including freelancers and entrepreneurs. Add press release distribution to your marketing strategy as one of the quickest and most cost effective ways to get the word out about your services. X Factor Digital Marketing offers premium press release writing and distribution to ensure top news placements for our clients in NJ and NYC. Our press releases appear in news outlets such as Yahoo! Finance, Bloomberg Businessweek, Marketwatch, Reuters, AP, Star Ledger, and The Wall Street Journal. XFDM has worked with industries such as plastic surgery, automotive, construction, beauty salons, insurance agencies, artists, medical spas and corporate executives. Your press release will be written by our experienced and talented copy writers and looked over by our SEO experts to ensure premium placement. Your release can be sent out for immediate release or on the date and time of your choosing (our team will suggest optimal day/time to schedule release to ensure greatest results). Once we have fully distributed your press release we will provide you with a list of the placements you have received. For more information about press release distribution services in NJ and NYC, please call (908) 376-6291 to set up your no-obligation consultation today.